As the offseason winds down and camp is underway, the depth additions that the Bruins made in the offseason are worth noting, outside of the positional battles. When the free-agent frenzy rolled around, the Bruins stayed fairly quiet. They made two low-key moves; signing former Winnipeg Jets defenseman right-handed Paul Postma and reigning Chicago Wolves left-wing and AHL MVP, Kenny Agostino. More recently, right-winger, Teddy Purcell was brought in on a PTO. Without these three players, the Bruins still have some solid depth, giving them a wide variety of lineup options. But why not get better when you can? That’s what was done. Kenny Agostino, 25, was drafted by the Pittsburgh Penguins in 2010, fresh, and has since bounced around in the NHL and AHL with the Calgary Flames, St. Louis Blues, and their respective AHL organizations. The brief NHL time he has seen isn’t worth a ton of attention, but his improvement in the AHL is. First with the Adirondack Flames, back in the 2014-2015 season, Agostino tallied 43 points in 67 games. His second season rolls around after the Adirondack Flames undergo a name change to the Stockton Heat. 65 games, 57 points, a 14-point improvement in 2 fewer games. In his first two years in the AHL, Agostino didn’t get a taste of the playoffs, that changed when he signed a one-year deal with the St. Louis Blues organization. Agostino didn’t just have a really good year like he did in each of his first two AHL seasons, he went on a season-long tear and won the AHL MVP, or the Les Cunnigham award. Agostino saw a 26-point jump from his 2015-2016 production, in the same amount of games (65), that’s not something to just brush off. He added 10 points in 10 playoff games. Earning a roster spot, despite winning AHL MVP, will be tough for Kenny Agostino as there are plenty of left-handed prospects competing for a shot as well. Regardless of where he plays, Bruins have plenty of reasons to be excited about his presence in the organization. Paul Postma isn’t an AHL MVP addition, but a solid depth addition nonetheless. The 6-foot-3, 28-year-old defenseman was drafted by the Atlanta Thrashers back in 2007 and has spent the last six seasons with the Winnipeg Jets for the most part. Postma isn’t known for big offensive production from the back end, but he plays a solid two-way game and knows how to move the puck effectively. Last season with the Jets, he scored one goal and added 13 assists, for 14 points in 65 games. He will likely start out as the seventh defenseman on the roster and factor into the lineup every so often, or if someone is injured. Bruins fans should be pleased with this depth addition, especially at a good price of $725,000 for one year. Teddy Purcell is a 32-year-old veteran that had a rollercoaster 2016-2017 season. 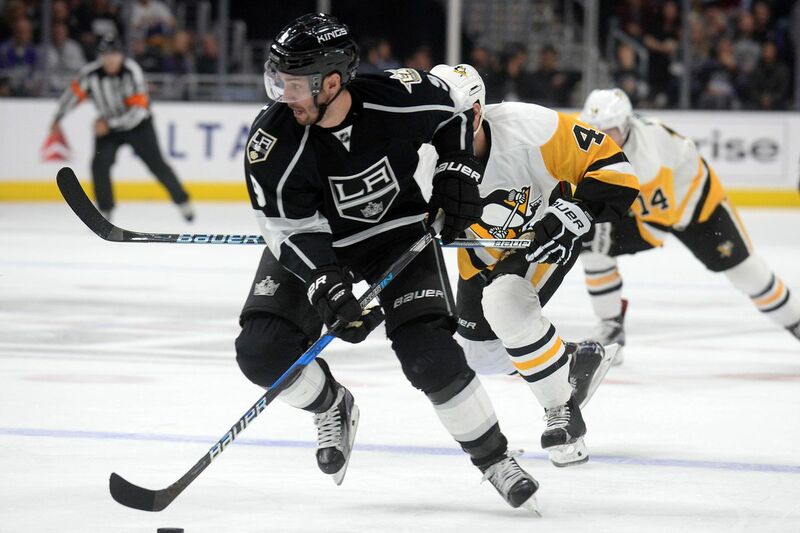 He got sick towards the beginning of the year and missed some time, played with the Los Angeles Kings for a bit before being demoted to their AHL affiliate, the Ontario Reign. If he stays with the Bruins past his PTO, he could play a Drew Stafford type of role in the lineup. I like the addition of Purcell a lot, even if it is just a PTO. He plays a steady game and has proven in the past that he can produce at a respectable level. In 12 games with the Kings last year, Purcell had two assists in 12 games. His fortunes changed after being sent down, as he was a point-per-game player with the Ontario Reign. In 38 games, he had 10 goals, and 28 assists, good for 38 points. Purcell’s spot on this team, if any spot, will depend on his performance at camp, as well as confidence with the numerous young forwards fighting for ice time this year. It will be interesting to see if he sticks around or not. The roster is getting closer and closer to taking its shape, how much will these players be apart of it? ← The Boys Are Back! The Boys Are Back! The Boys Are Back (and they even got cap space)!